Reading Siege soon after two or three serious mass shootings was perhaps not the best of things to do. But it feels like it could be hard to pick a time when nothing bad is going on in the world. I thought the worst about reading Sarah Mussi’s book would be the school shootings that it’s about. That was until I realised that Siege is set slightly in the future. A slightly dystopian future, at that. Although, the way things are going, that kind of society is almost here already. YOU OP 78 is a school for less worthy children. The troublemakers who are deemed to merit less of an education, and who go to schools with special measures in place to keep them under control. It’s enough to make you claustrophobic, if you weren’t already. 16-year-old Leah is late for school, which is why she is where she is when the shootings start. When the shooters have done their worst in her classroom, she and another student, Anton, escape up into the ceilings. It appears to be her younger brother Connor’s stupid and pathetic gang, going round shooting at anyone they feel like, armed to the hilt. So far, so ‘normal.’ Leah, and the reader, thinks that all they need to do is wait for the police to come to the rescue. That’s when you suddenly understand that in a dystopic society, there could be other possible outcomes. It would be hard to say much more without giving away what happens, and why. Leah behaves very bravely, doing her very best to escape, and to help others who come her way. She’s a credit to… yes, to what? Because a school for losers can’t very well produce courageous citizens with initiative, can it? I guessed a little bit wrong, but both my theory and Sarah’s actual idea are equally chilling. There are worse things than school shootings. And I wish that so many aspects of what’s in this book didn’t feel so close to Britain today. 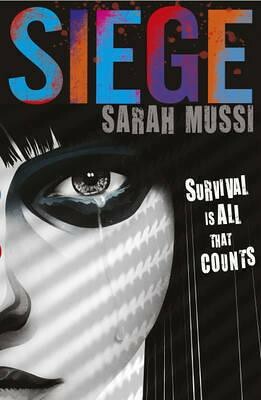 This entry was posted in Authors, Books, Education, Horror, Reading, Review, Thriller and tagged Sarah Mussi. Bookmark the permalink. As a retired schoolteacher your synopsis has re-awoken some of my worst fears! I shall look out for this book. You’re well out of it! I only hope that someone will see sense one day, and preferably soon.